I am pleased to announce that the second of Wild Hunt Press's four planned Halloween releases is now available for pre-order! 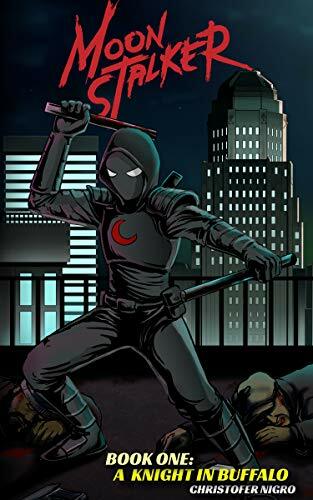 This is the first in a series of books featuring the masked teen vigilante hero Moonstalker and taking place in my shared superhero universe, the Warp Event Universe. As you will see, Moonstalker is more of an anti-hero as he engages in a brutal war against the street gangs terrorizing the mean streets of Buffalo, New York's East side, determined to take over the city himself for the "good" of the people under siege. And he isn't exactly fighting alone, considering the several copycat vigilantes who begin emerging in his wake. He'll need their help, since he will have to fight the police in addition to Buffalo's most dangerous street gang and its uber-formidable leader.